The ISB non profit landscape is competitive. This may strike many applicants as surprising, since most people tend to think that it is engineers and techies who dominate the applicant landscape the most. That is true, but people applying with a non profit background don’t have it easy either. 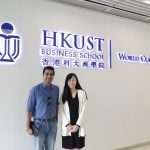 Not only must they establish the importance of what they are doing, but they must also clearly demonstrate the need for an MBA, which can be much more difficult to do coming in from a non-corporate background. Ironically, though, Lipika’s journey starts from her corporate IT job. There are few people who love their IT jobs as much as Lipika did. And rightly so, because the work she was doing at Amazon was truly innovative and exciting too. Yet, this was not what Lipika planned to do. She had already been working on a very unique art gallery that helps artisans from across India showcase their skills and products. As the founder and Director of Earth Art Gallery, as much a social forum as a place to showcase art, Lipika has had great impact on art and done social good too. 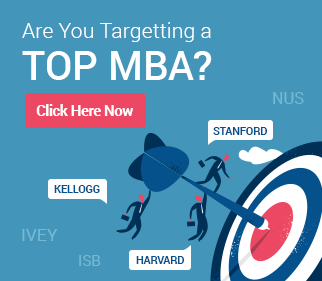 However, how does all of this relate to an MBA? That is where GyanOne came in, when Lipika contacted us just two weeks before the application deadline! At that point, while Lipika had already started working on her ISB application essays, she was unsure of her stories along multiple planks. How could she connect her desire to promote art with her wish to seek business education? Would ISB still consider her achievements from college (she had been an extremely active member of AIESEC) in the right light or only as poor substitutes for professional achievements? How could she explain her decision to simultaneously work in a large IT services firm alongside her venture? 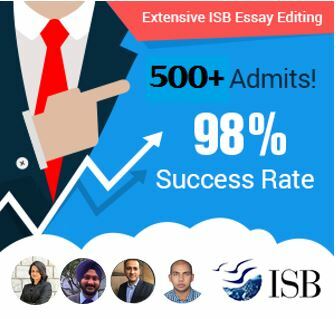 How many people from NGO backgrounds apply to every ISB batch? Do Teach for India people also go for MBA? @Aniket: ISB does not provide an exact count for the number of people from an NGO background in each batch. For the Class of 2014, 5% (around 38 people) of the class came from a Govt/PSU/NGO/Forces background. Of this, we estimate that about 10 people had a non-profit/NGO background.